Lemon bars are a popular dessert that is easy to make, but this is the BEST Lemon Bars Recipe, bar none. The buttery shortbread crust is topped with a thick, luscious layer of citrus for a sublime treat! The first time I made this spectacular lemon bars recipe was for a gathering of my volunteer friends. 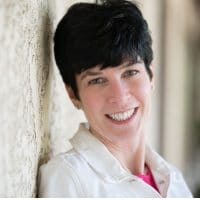 We spend hours and hours cleaning and manning a spectacular home that is decorated to the hilt by Indianapolis’ top interior designers. Needless to say, when the two weeks it’s open to the public comes to a close, we have reason to celebrate. Back in 2010, my co-director and I treated the gals who helped organize and work the events we planned to an evening at a spa. My contribution was a savory brie appetizer and my best lemon bars! What Makes These Lemon Bars the BEST??? Starting from the bottom up, these bars begin with a simple, buttery shortbread crust. Nothing funky, just 3 ingredients pulsed in the food processor to make a perfect base. Next, the combination of both lemon juice and lemon zest gives a bold citrus flavor. Note that fresh juice and zest is a must. None of the jarred lemon juice or off the rack dried lemon zest. Adding flour to the lemon mixture thickens the filling perfectly without compromising the texture. Having the perfect ration of crust to filling is key, too. You need just enough crust so you can pick up these bars with your fingers as needed and a thicker layer of the lemon custard to give you that zesty lemon flavor you love! 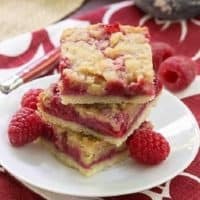 How Should I Slice and Store Lemon Bars? For the cleanest slices, chill (or even freeze briefly) your bars first. Then use a warm knife (I run mine under hot water, then dry it) to help the knife glide through the bars easily. Lining the baking pan with non-stick foil or parchment allows you to easily remove a whole batch to a cutting board for easier slicing. If you want all the bars to be the same size, use a ruler to make marks at 2-inch intervals along each side to guide you. Lemon bars can be stored on the counter top, but to extend their lifespan, refrigerate them. They will be good for 4, maybe even 5 days kept in the fridge. 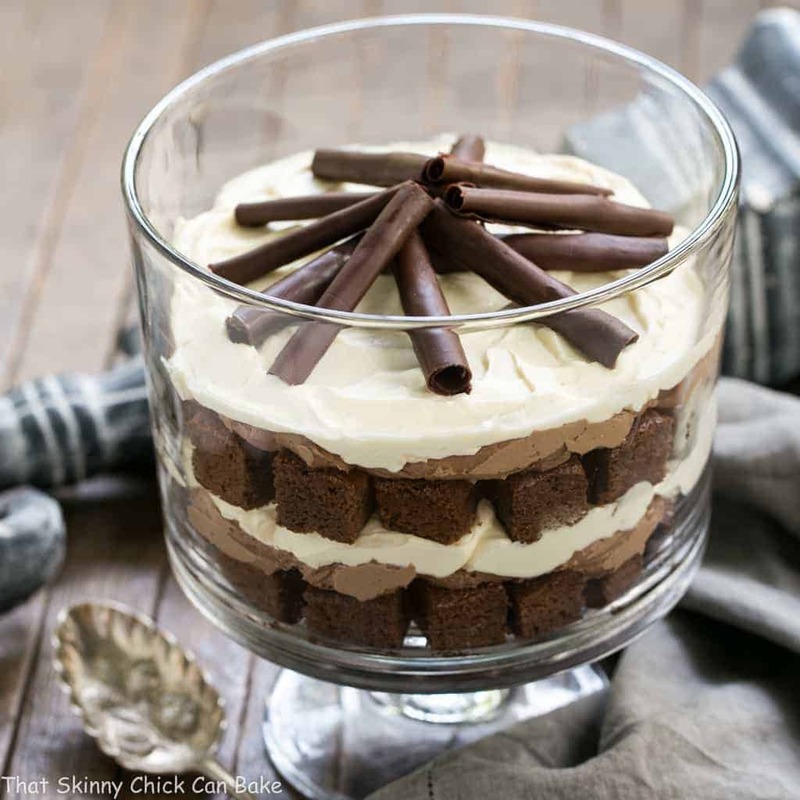 There is no doubt that chocolate is the gold standard for decadent desserts at our house. Fruit pies rate near the top, too. 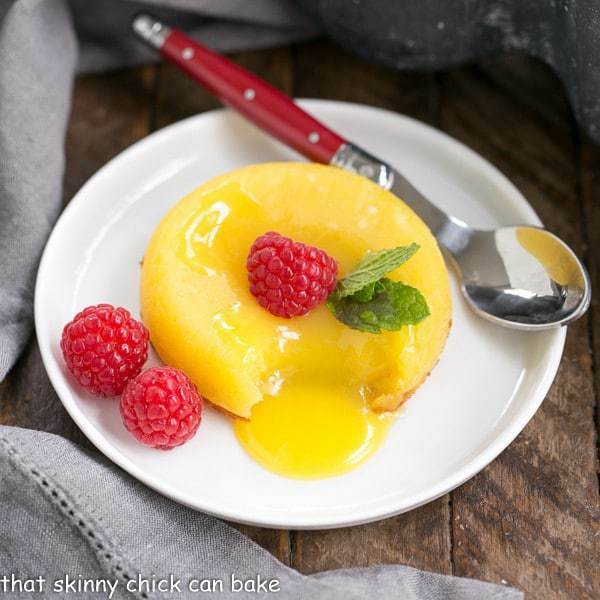 Though he snubs lime sweets, the hubby always raves when I whip up a lemon dessert. Lemon bars are about the easiest way to experience the sweet-tart nirvana of a lemon dessert! And just to feel virtuous, top each with half a ripe strawberry! 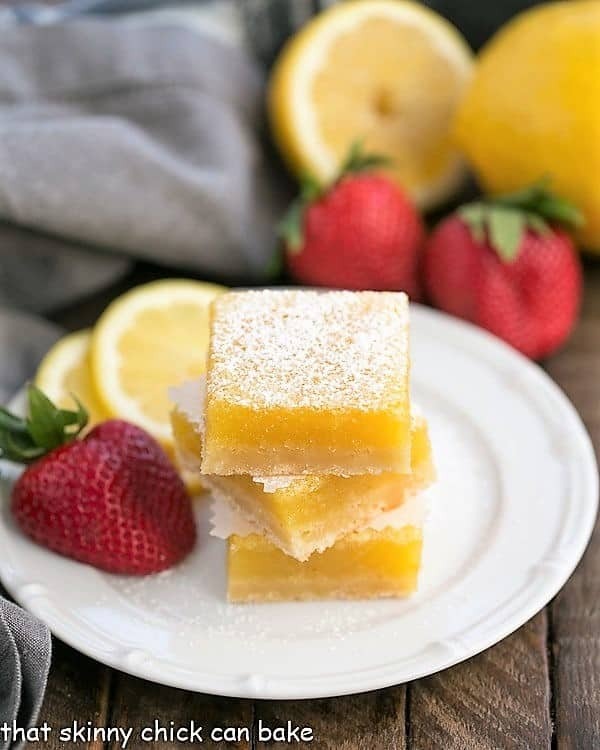 Double the fruit for a nice dose of vitamin C. This Best Lemon Bars Recipe is a must make!!! Lemon Meringue Pie is another family favorite with its mile high, billowy meringue topping as is this dense, delicious Lemon Pound Cake. I’ve also had my eye on this spectacular Lemon Meringue Cheesecake, Lemon Zucchini Cake and these Blueberry Lemon Crumble Bars. Luscious lemon bars with a shortbread crust. Preheat oven to 350º. Line an 8 x 8-inch pan with non-stick foil or line with parchment paper. Set aside. In a food processor, pulse the crust ingredients until the butter is in very small pieces . Press into the bottom of the prepared pan and bake about 15 minutes or until the crust just starts to brown. To make the filling, whisk together eggs, sugar, lemon juice, zest, flour, and salt. Immediately pour over hot crust when it comes out of the oven. Bake for 30-35 more minutes or until topping is firm and lightly browned. Cool, then cut a sliver off all sides before sprinkling with powdered sugar and cutting into bars. Garnish with berries if desired. You may double the recipe and bake in a 9 x 13-inch pan or triple and bake in a jelly roll pan. If you said it’s the BEST, then it must be! They look fantastic! Your lemon bars do look and sound fantabulous, Liz. So does the historic home…as well as the visit to the spa! 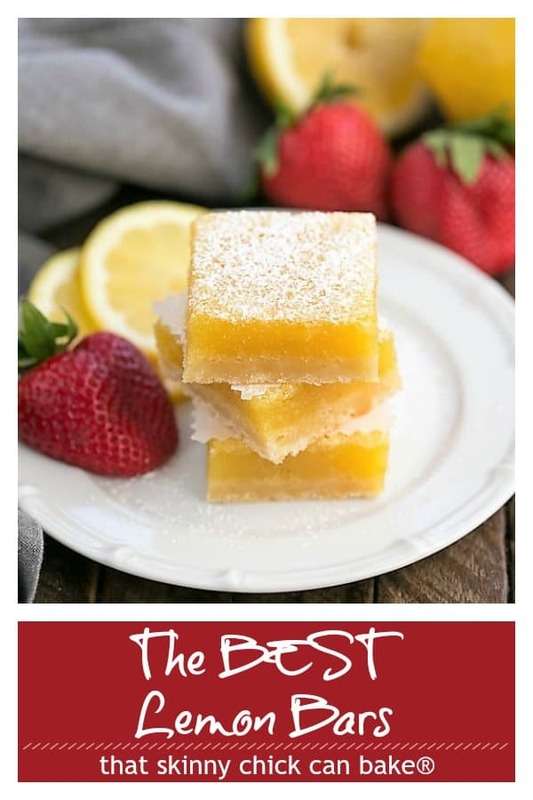 I have no doubt these are the best lemon bars! They look out of this world! I love lemon bars, but I’ve never made them. I should bake and take these for work. They look delicious! I love lemon bars.. perfect cuts too! I love love love lemon bars and haven’t made or had one in forever. Yours set up absolutely perfectly! These definitely look like the best lemon bars! And I love the powder sugar and strawberry garnish. Will definitely be trying these lemon bars Liz, still have tons of lemons left and if these have your seal of approval they must be good. These lemon bars look absolutely perfect, Liz! I love the buttery shortbread crust piled high with that beautiful lemon filling dusted with a touch of sweetness from the powdered sugar. 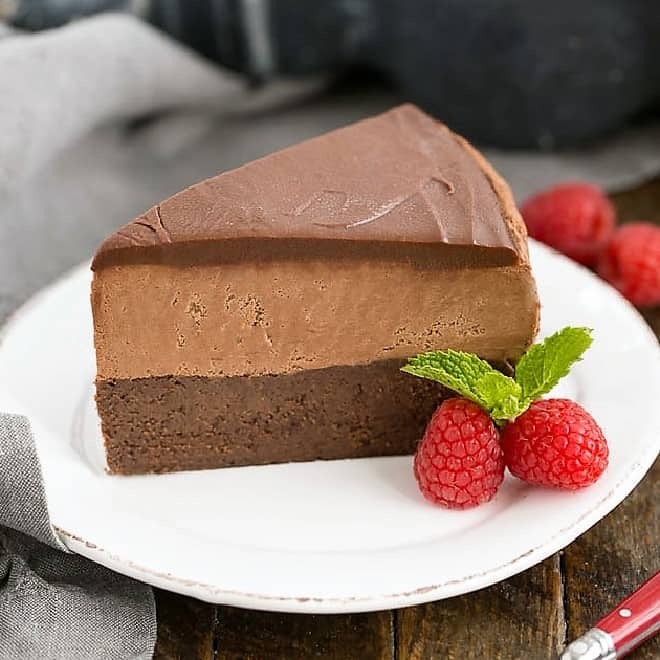 My family is going to love you for sharing this recipe!! I can’t wait to make it for them 🙂 Thanks so much!! These lemon bars are so cute, colored and delicious!!! Yeah…so…got an instant craving. They are baking in the oven right now! They really DO look incredible, Liz! 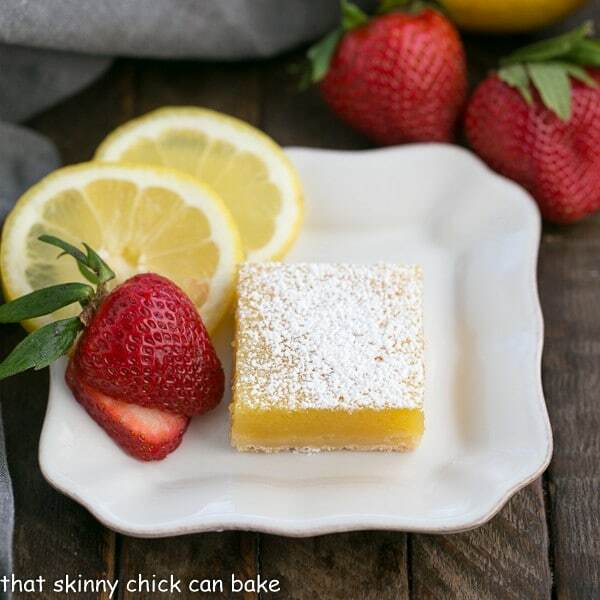 I love lemon bars and can’t wait to try yours out — I have some extra lemons, so perfect timing! 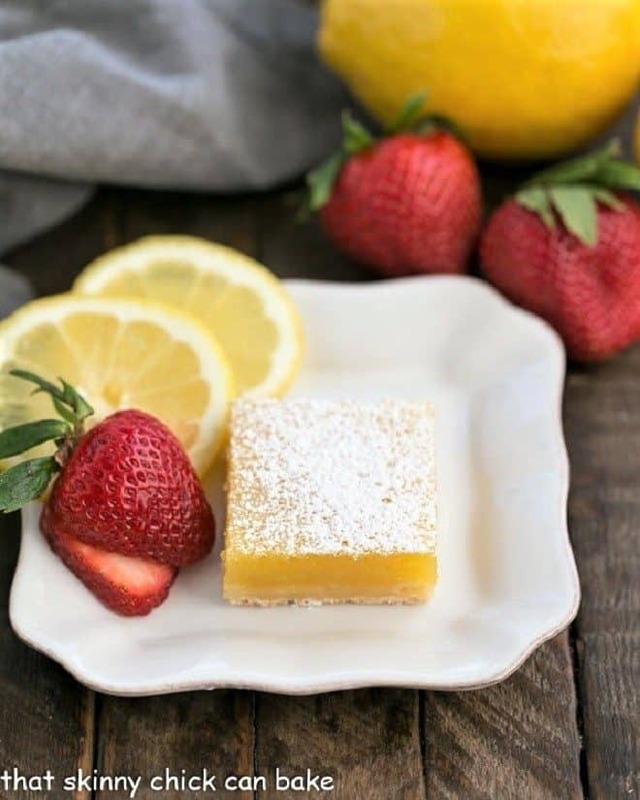 I’m in heaven with a good lemon bar – and these look wonderful! 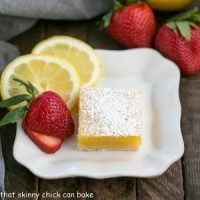 Lemon bars are one of my favorite desserts! I cannot wait to try this recipe! Liz, i just printed your lemon bar recipe. Who wouldn’t love these~! Thanks~!!! Pure beauty and I’m sure heavenly taste. Can these be frozen. Planning Easter menu and love these as presentation. Thank you. Diana, from what I recall, lemon bars don’t freeze well. But I’ve kept these in the fridge for almost a week, so they can definitely made a few days ahead of time. Thanks for stopping by! These do indeed look wonderful! These make me so happy! They look amazing! YUM! This ARE the best lemon bars I’ve ever seen! I can’t wait to try the recipe! There is nothing so satisfying as a really good lemon bar and this one looks like it would exceed expectations! I love the strong lemon yellow colour too, simply beautiful. 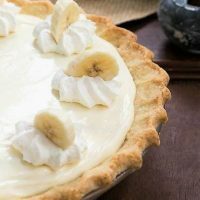 Lemon desserts are my hubby’s favourite so I’m definitely bookmarking this beauty for our next celebration. Ah, if only I didn’t have to zest the lemons! I wish someone could come up with a really easy and effective way to zest a lemon. Don’t get me wrong, Liz, I love lemon bars, and have and will make these, but I do dread that task! There is nothing better than a really great lemon bar. These look like perfection! Lemon comes in as a close second for me as well Liz. These bars make my mouth water. 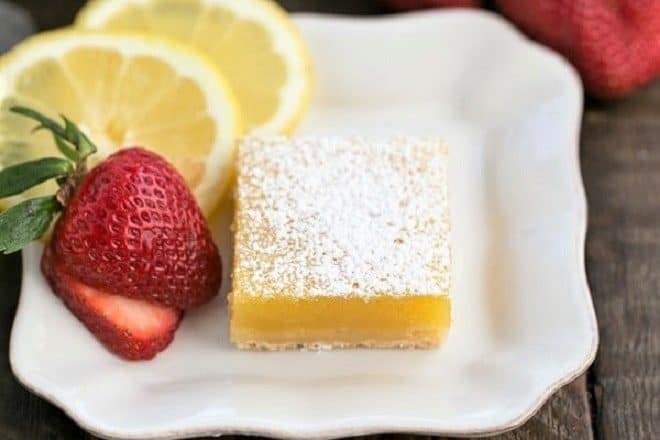 Lemon Bars are by far my favorite dessert bars and these do look heavenly. If you say they’re they best then I need to try them. I have to try your bars, Liz! These look absolutely divine! Yes, yes!!! Made these for a neighborhood get together and they disappeared. Lemons came from trees in the neighborhood also. Thanks. The only dessert I like with lemon is lemon bars! I have no doubt I would love these! 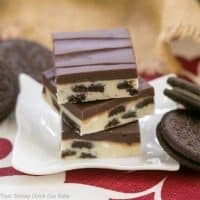 You are the Queen of perfectly sliced bars and these look fantastic! I just love these bars lemon is a fav of mine now you have me wanting one so bad!! 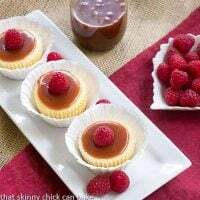 This is great recipe and i love it very much.